The National Justice Museum Education, which relaunched in April 2017, has revealed details of its latest educational programme which is suitable for all Key Stages. The educational offering, which was formerly known as the National Centre for Citizenship and the Law, delivers its educational programmes in prestigious courtrooms and heritage sites across the UK. The heritage sites that schools can visit include The National Justice Museum and City of Caves in Nottingham, The Royal Courts of Justice in London, and courtrooms across the North West such as Manchester Civil Justice Centre and Crown Court. The new education programme delivers curriculum linked sessions covering a range of topics including History, English, PSHE, and Citizenship. The programme is offering brand new trials and cases for pupils to uncover and learn about. These sessions are suitable for both Primary and Secondary school groups. The workshops will take place in a courtroom where children will learn more about the structure of the courts and the roles within them. 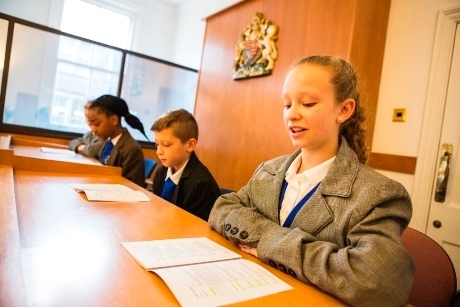 Pupils will then be encouraged to create, prepare and present a trial in the courtroom, taking on roles such as the judge, the jury, barristers, witnesses and defendants, using costumes and role play to bring the cases to life. Groups can choose to study either a historic, contemporary civil or criminal case. As well as making changes to its courtroom workshops which can be arranged across its selection of UK courtrooms, the National Justice Museum Education is also delivering new learning activities specifically at the new National Justice Museum in Nottingham. Formerly the Galleries of Justice Museum, the National Justice Museum opened to the public on 1st April 2017 following a £1million Heritage Lottery Fund redevelopment. National Justice Museum is the new name for The Egalitarian Trust, which replaces the brand names of the Galleries of Justice Museum, the City of Caves in Nottingham and the National Centre for Citizenship and Law (NCCL), which delivers education programmes. For more information, visit: www.nationaljusticemuseum.org.uk/education.